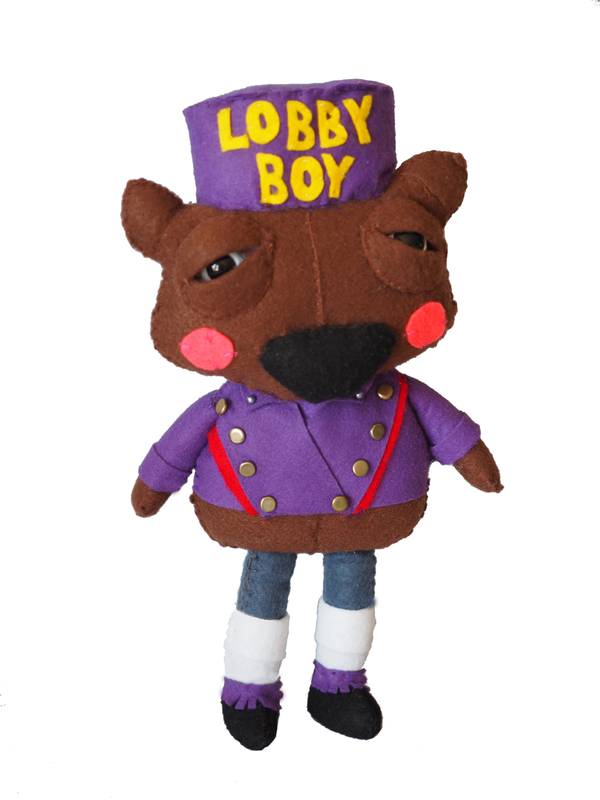 Will.i.Wombat is a strictly Limited Edition plush wombat with a penchant for dress-ups, including as a Lobby Boy. This is one cosmopolitan wombat - he may have grown up in Australia, but he has served some of the world's top VIP guests in all of the best hotels. Standing about 30cm tall by 18cm wide, Will.i.Wombat is a plush creature made from felt, and firmly stuffed for that nice, solid, huggable feeling. He is hand-stitched and embellished with brass buttons. As with all of the Creatures & Cream range, this cute little Wombat is designed to delight and bring joy to your household! I hope you enjoy him as much as I've enjoyed creating him!